Austrian easternmost region boasts more than 300 sunny days a year, and it has historically been linked to Croatia since the 16th century when the Burgenland Croats settled there. Today they are recognized as a minority in Austria, and if you have not visited this land of sun and Blaufränkisch, you should definitely consider vacationing in Burgenland, especially if you have a baby or young child. 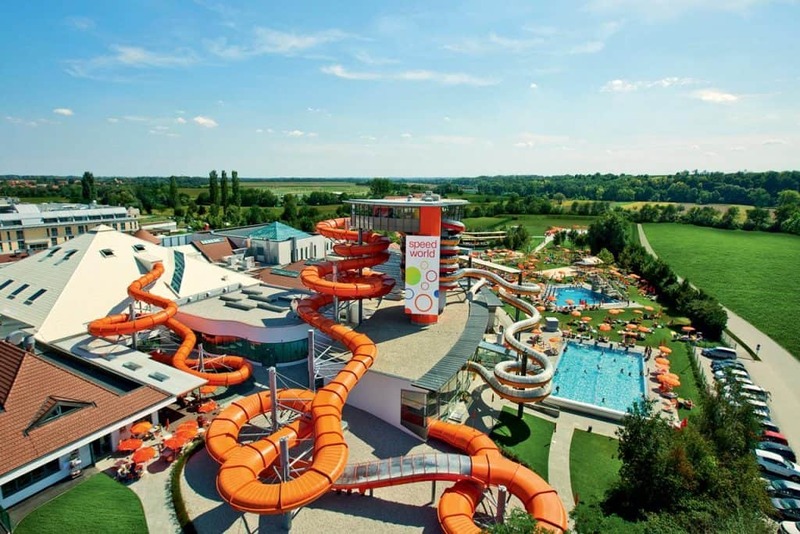 Sonnenpark in Lutzmannsburg is a family spa with the best water park for children and babies in Europe. Everything is tailored to babies and their parents. In addition to indoor and outdoor swimming pools with water slides, children can play on an outdoor playground, and there are specially adapted islands for changing. 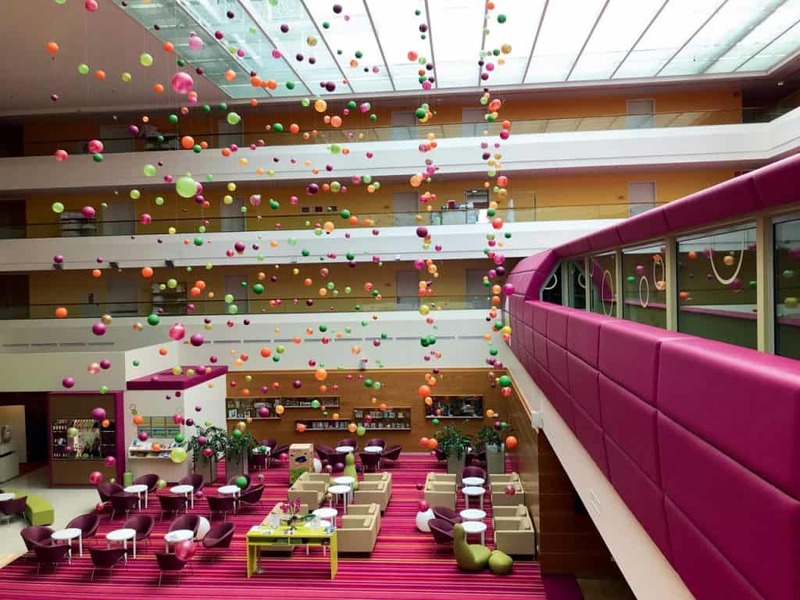 It is interesting to note that this hotel has been listed as one of the 99 most popular hotels in the world in 2018, primarily for programmes that are fully adapted to children’s needs – from the sensory ‘snoezelen’ room where they can relax surrounded with water pillars full of bubbles, waterbed and gentle music, a special section with toys for children up to 2 years of age, as well as a kitchen for preparing baby food. Older ones can play at the Sunny Bunny Club where interesting workshops take place, while small car lovers can race at the Bobby Car Running Centre. The hotel’s mascot is a happy bunny Sunny Bunny, and in the centre of the hotel there is a garden pavilion with real rabbits. Children can feed rabbits here or pick up spices from the garden and then participate in preparing meals. In the garden pavilion children can go kart racing, and the covered terrace is ideal for light snacks – which there are plenty of because there is a buffet with excellent cakes, coffee and drinks nearby. If you want to continue having fun, you can reach Sonnentherme by passing through a hall. The biggest attraction is the new 270-metre XXL Monster Ride water slide. It is the longest indoor slide in Austria that can be used by up to three people with a swim ring. Speedy is the fastest slide ending in a free fall, and Twister is equally interesting, as is a huge wave pool. Outside there is a sports pool and a splash pool where fans of diving will have the time of their lives. Children can dive from one, two or three-meter towers, and small climbers can try a three-metre-high climbing with an overhand above the water. Sunny Bunny swim academy is there so that babies can learn how to get used to water while swimming lessons are organised for older children, with the intention to let kids relax and learn to move in the water. There are two separate pools with specialized swimming instructors. In addition to swimming lessons, you can learn to dive, swim using a mermaid tail or try gymnastics in the pool at Sonnentherme. And you can do it every day – throughout the year. When children finally get out of the water, which happens rarely, they can play in a separate section, in the corner with gaming machines or watch movies in the 3D cinema hall. 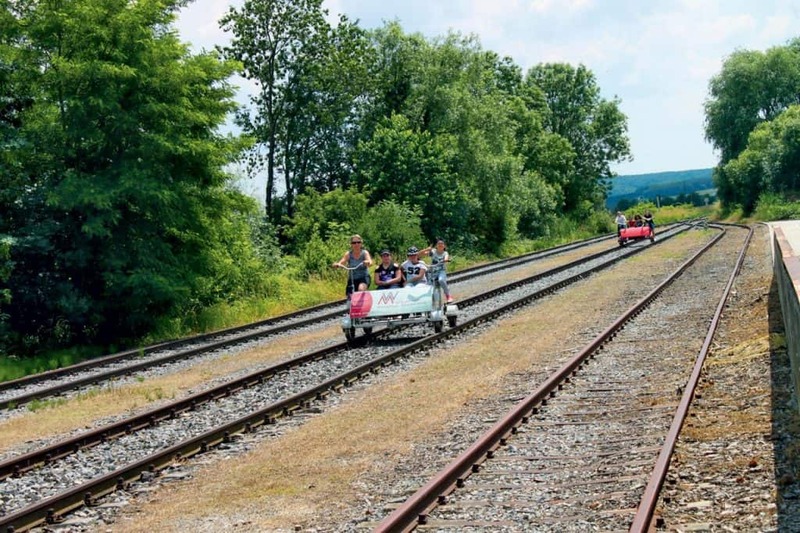 A small train runs several times a day outside, the little ones can play in the park or build castles in a large sandbox, while adults lounge in the Burgenland sun. For complete relaxation, there is Relax World with saunas, hot beds, Jacuzzis and a cool water swimming pool, as well as Beauty World with massages, tanning salon, beauty centre, and Alfa deck chair relaxation room. Even moms can relax together with their babies thanks to the first baby sauna in Austria. Children spend three to five minutes with their moms in the sauna, at temperatures from 60 to 70 degrees Celsius, followed by a walk in the fresh air, bathing in lukewarm water, dressing, rehydration and resting. But when you have had enough rest and want some action – there are countless possibilities around Sonnenpark. We would certainly recommend you ride a ‘draisine’ bike on rails. Draisine is moved using pedals and seats four to six people. The old railroad passes 23 kilometres through a Blaufränkisch vineyard, sunflower fields and the shady forest to the Oberpullendorf cultural centre. In addition to natural beauty, you can discover a variety of interesting things along the track, such as a potter’s museum in Stoob, a civil engineering museum in Neutolj, or the exhibition at the Castle of Lackenbach. You can also grab a snack at the St. Martin station, have a slice of delicious draisine bread and shnitzel. In Magazine in Stoob you can visit bakeries offering homemade strudels and other Burgenland specialties, while the Railway bakery in Lakenbach offers more sweet specialities – homemade cakes and numerous ice cream varieties. Then you can visit the nearby town of Deutschkreutz where you can have a glass or two of great red wines from the modern Gager winery, from Blaufrankisch klassik, Zweigelt klassik, Blaufrankisch Ried Fabian, to Q2 and their most renowned wine, Cuvée Quattro. The region is known for the tradition of growing red wine, especially Blaufränkisch. If even that is not enough, just few hundred metres from Sonnenpark, on the other side of the border – in Hungary, there is a Sonnengolf golf course. You can get there easily using rikshaws, and the course has nine holes for professional players and nine smaller ones, for families, where you can play eight to ten months a year thanks to mostly dry and sunny weather. With numerous activities tailored to family needs and additional content outside the water world, we believe that this summer in Burgenland you will get a vacation of a lifetime, as well as fun for the whole family.